The result of German election was on the surface positive for the EU given that Angela Merkel the hugely pro-EU Chancellor was elected for a fourth term. There is little doubt that Merkel has been hugely influential in driving the EU forward following the financial crisis backed by a Grand Coalition which provided overwhelming support at home. Following yesterday’s election that is about to change as Mrs Merkel is going to be hugely preoccupied with domestic matters for the coming months. Support for her main coalition party, The Social Democrats collapsed to a little over 20% and they have decided to go into opposition as they rebuild credibility. The AfD Party gained 13% of the vote which means a Party with far-right views will be represented in the Reichstag for the first time since WWII. Merkel will be faced with a struggle in which she may have to make concessions to both liberal coalition parties but the opposition. Close to one in seven Germans voted for the anti-immigration AfD which was previously anti Eu but has focussed on immigration particularly Islamic immigrants. The recent spate of terrorist incidents together with an upswing in violent street crime has led to a rebellion against Merkel’s “open door “policy. British Prime Minister Theresa May made a significant effort on Friday to unite her party around a set of terms that she hopes will unlock the Brexit process and lead to a successful outcome for the U.K. All she managed to do in fact was to muddy the waters further and weaken her position as leader. She called for a transition period of, at least, two years to allow business to become accustomed to the new way of dealing with the EU. 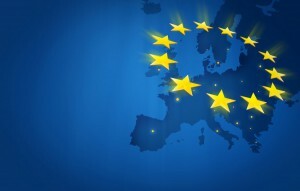 It is unclear whether EU laws would still apply during this term by May asserted that the U.K would continue with its budget payments during the transition. 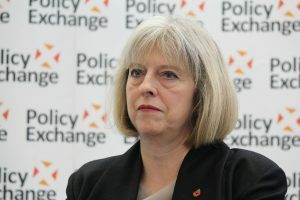 Considering several her backbench colleagues had called for Brexit to happen on 31st March 2019 with no extension or transition and that they are also calling for payments to also cease on that day, May took a huge gamble that only time will tell if it is successful. The weekend press in the U.K. was decidedly negative on her chances with one paper outlining a plot hatched following the election where senior cabinet ministers David Davis and Philip Hammond would back Foreign Secretary Boris Johnson in a bid tom oust May. This could still happen particularly since backbenchers apparently have sufficient signatures to call for a vote of confidence in the Leader. Rate hikes in the U.K. and U.S look decidedly shaky as policy decisions given the state of the U.K. economy and the political uncertainty driven by Brexit together with the path of inflation in the U.S. It would seem prudent for the FOMC to at least gauge the effect of withdrawal of stimulus in the shape of the reduction in the Fed’s balance sheet before raising rates in December. Inflation is benign at best and FOMC members are virtually queuing up to voice concerns about is continued downward trajectory. In the U.K, closer study of the speech by Gertjan Vlieghe where he appeared to turn decidedly more hawkish shows that his intentions are entirely data dependent. Although inflation due to a weak currency is looking likely to peak at 3% next month it is growth in wage inflation that will drive his vote. Given the sluggish wage data in the last employment report the next will need to be far stronger when it is released on 18th October to produce a turnaround from last months 7-2 vote on November 2nd. Sign up to the Prop trading floor news letter! Dont miss out on important Forex news, analysis and information subscription 100% free sign up today! A journey of a retail trader. 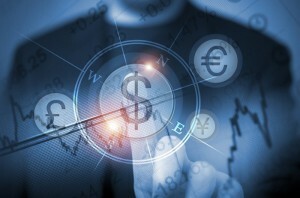 How to trade on the foreign exchange market and make it a lifstyle. Forex Trading For Profit, a journey of a retail trader. This website has been set up for retail traders to give answers to those seeking the same information I was when I first started trading. Forex Trading For profit endeavours to bring the most informative approch to trading forex, and shows anyone can become a successful trader no matter what your background, with some dedication, study and determination. Trading CFD's and in the foreign exchange market is a high risk investment so please read the disclaimer. DISCLAIMER: Any advice or information that has been presented on this website and related accounts on social media forums is only general advice and is not intended for you to invest your money solely based on its contents. By viewing the content on this site you agree that it’s for educational purposes only and will not hold the Author responsible for any loss incurred by the content herein and associated online accounts or paraphernalia. Forex Trading for profit nor do the Author('s) operate under an AFSL and any product or advice sold on this site is only bought or taken as an educational product or guide from my collective experience’s and knowledge trading forex. If you invest any money into forex you do solely at your own risk. HIGH RISK WARNING: Trading CFD’s such as forex and/or on high leverage is a high risk investment and you must make yourself aware of the potential loses you may incur. Forex trading is not suitable for all investors and you have the potential to lose all of your deposited funds or more. Any opinions or analysis of the financial markets on this site is ONLY commentary in nature and does not solicitate investment advice. Please do not invest any money based on the advice given on this site or associated accounts nor invest money that you cannot afford to lose. Past performance of any trading system or method is not indicative of future results. We collect information from you when you fill out the form. When ordering or registering on our site, as appropriate, you may be asked to enter your: name, e-mail address or phone number. You may, however, visit our site anonymously. For contact purposes and conversing requirements between staff and client. We do not sell, trade, or otherwise transfer to outside parties your personally identifiable or business information. This does not include trusted third parties who assist us in operating our website, conducting our business, or servicing you, so long as those parties agree to keep this information confidential. We may also release your information when we believe release is appropriate to comply with the law, enforce our site policies, or protect ours or others rights, property, or safety. However, non-personally identifiable visitor information may be provided to other parties for marketing, advertising, or other uses.